One of my favourite places to spend my time on the web is within the pages of The Goulburn Evening Penny Post (accessed through Trove). Who would have thought that having a distant uncle who worked at a local newspaper would be so handy for the budding family historian. How else would I know that on 1 Nov 1927, my great great aunt, Ethel, was recuperating from a sore throat at her mother’s house in Manly? Or that she wore ‘old gold satin’ to the Diggers Dance in 1922? My great grandmother, Dorothy, wore rose taffeta. Ethel May Lemon was born in Goulburn on 24 Nov 1891 to J T Lemon and his wife, Mary Jane Faulder. She was the second of seven children. My great grandfather, Fred, was her elder brother. 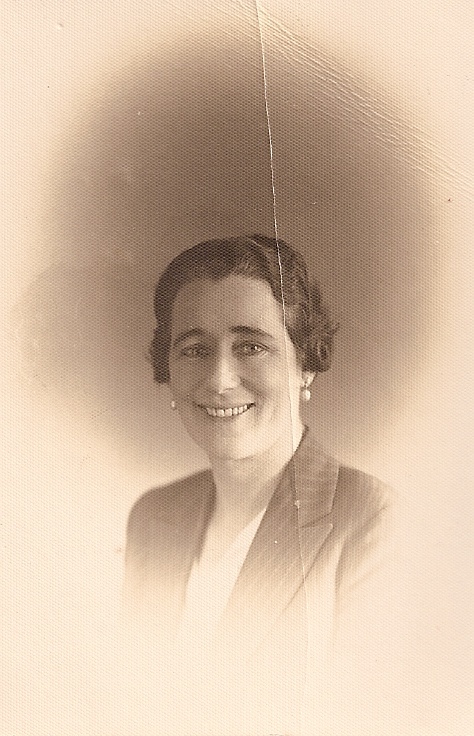 Ethel is recorded in the electoral records of NSW, living in Goulburn and Manly. Her occupation is listed as home duties. She appears to be an accomplished socialite of Goulburn society. She probably was. She was also much more. She came from a privileged family. She went to a private girls school and received music lessons as a child receiving first class honours in the junior exams she took in 1904. She travelled to London and to the US. She kept a correspondence with, and eventually met, a distant cousin, Nettie Blean in California. Family was important to Ethel. She kept scrapbooks of photos and newspaper clippings that have been passed down. Through Ethel we had memories of the family and their accomplishments decades before Trove arrived. Ethel died on Christmas Day 1973 .. the year before I was born. This entry was posted in Lemon and tagged 52 Ancestors, ethel lemon, lemon, Lemon family in Goulburn. Bookmark the permalink. How lucky to have a relative like Ethyl! I’ve discovered digitally archived copies of the local newspaper where many of my maternal ancestors lived. I love it. Small town papers report everything! They do! Fascinating reading and very diverting … from everything I should be doing. Very much enjoying your posts. I’m a descendant of the Goulburn Lemon’s and have done some tracing of the family over the years. lovely to meet you. Who are you descended through? Robert Bruce (Ethel’s brother) was my grandfather.